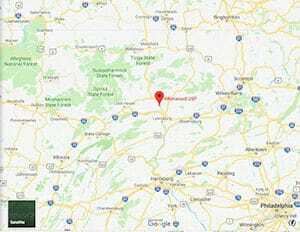 Location: FCI Allenwood Medium is located 197 miles north of Washington, DC; 11 miles south of Williamsport, PA; 2 miles north of Allenwood, PA, on U.S. Route 15. Background: FCI Allenwood Medium was opened in 1992. It is part of the Allenwood Federal Correctional Complex (FCC). Notable inmates include former NSA employee Ronald Pelton (released in 2015 after serving 30 years for espionage), Kifah Jayyousi (released in 2017 after serving 12 years for murder conspiracy and providing material support for terrorism), and James Cromitie (serving a 25-year sentence for attempted use of weapons of mass destruction and attempted murder). Housing: Inmates at FCI Allenwood Medium are housed in two-person cells. Health Services: All inmates entering FCI Allenwood Medium must schedule a mandatory, complete physical examination within 14 days of arrival. This examination may include laboratory studies, hearing and sight screening, dental examination, medical history, and physical examination. Sick call, dental call, physical examinations, annual immunizations/screenings, health promotion/disease prevention, and medications are provided to inmates. While emergency medical care is available 24 hours a day, inmates must submit a sick call form for non-emergency care. Health Services staff will assist with scheduling appointments outside of regular sick call time if necessary. Psychology Services: FCI Allenwood Medium provides individual therapy, group therapy, and intake evaluations. Educational groups and a self-help library are also available to inmates. Residential Drug Abuse Program (RDAP): FCI Allenwood Medium houses a Residential Drug Abuse Program (RDAP). A Drug Abuse Education program, the Non-Residential Drug Abuse Program (NR-DAP) and self-help groups such as Alcoholics Anonymous (AA) and Narcotics Anonymous (NA) are also offered. Education Services: FCI Allenwood Medium provides GED and English-as-a-Second Language (ESL) programs. Adult Continuing Education (ACE) classes, an Employment Readiness and Employment Resource Center (resources for job search techniques), a Breaking Barriers program (a video series creating an awareness that change is possible through the development of cognitive thinking skills), and a parenting program are also available. High school diplomas and post-secondary programs are available through paid correspondence programs. Advanced Occupational Education: FCI Allenwood Medium does not offer any advanced occupational education programs. Vocational Training: FCI Allenwood Medium offers vocational training in Aquaculture Science, Carpentry, Computers (IC3 Computing Core Certification), and Electric. Apprenticeship: FCI Allenwood Medium offers apprenticeships in Fishery Worker, Housekeeping, and QA Tech. Library Services: The leisure library offers fiction and nonfiction books, magazines, and newspapers. The Education Department offers the TRULINCS Electronic Law Library for inmates researching federal caselaw pertinent to their case(s). Typewriters and a copy machine are available for inmate use. The Education Department also has an interlibrary loan agreement with the Union County Public Library to expand its offerings. UNICOR: The FCI Allenwood Medium UNICOR facility produces office furniture. Commissary: FCI Allenwood Medium inmates are permitted to spend up to $360.00 each month for regular purchases, and an additional amount for special purchase items. Items include candy, snacks, food, clothing, shoes, and electronics. Inmates are responsible for knowing the amount of money available in his account. An inmate’s Unit Manager can approve withdrawals from the trust fund account to send funds to dependents and other family members, or for the purchase of flowers, payment of telephone calls and postage costs, etc. Recreation Services: FCI Allenwood Medium’s Recreation Department consists of both indoor and outdoor areas. Indoor activities include a gymnasium, T.V. viewing area, fitness equipment, games, Hobbycrafts, ceramics, musical instruments, multi-purpose rooms, and a Wellness Resource Room. Outdoor activities include softball fields, flag football field, soccer field, sand volleyball pit, fitness stations, handball/racquetball courts, circular track, handicapped walking track, basketball courts, pavilion area, courtyard, bocce ball courts, and horseshoe pits.